Transfer your old audio cassettes to digital WAV, MP3, CD or any other format. We can do professional tape transfers for libraries, language schools, recording studios, publishers, police departments, etc... We use professional cassette decks with very low wow and flutter, and very precise speed. Download this PDF order form and send it back to us for an estimate. Or contact us in Toronto at 647.478.4273 to discuss your project. One-offs: One single cassette-to-CD or cassette-to-MP3 costs $25 for tapes up to 60 minutes. A C-90 is $35 including 2 CDs (one CD for each side). Volume discounts are available for multiple-tape transfers. 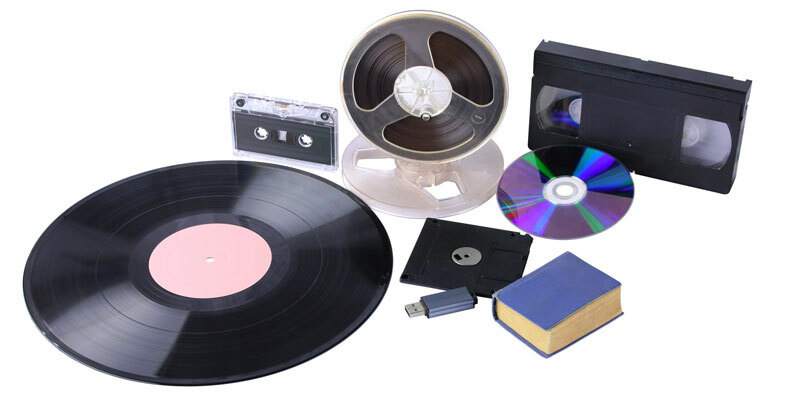 We can also transfer libraries of DAT tapes, analogue reels, vinyl, VHS, DV, and CD/DVD discs to hard drive or USB sticks. For example we recently did a big project to copy 10,000 videos from failing CD-R discs to hard drive, including attempted data recovery of bad discs. The minimum billing is $100 per project.